Mass-production of insects can contribute to the food supply both now and in the future. 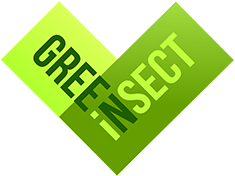 GREEiNSECT is a collaborative research consortium of universities and private partners aiming to investigate how mass-production of selected insect species can be developed in Kenya as a nutritious food source, as well as a a novel protein source for animal feed. Read more. Learn more about Agrifood here or follow the media coverage here.